Supposedly inspired by luxury sports cars. The Air Jordan 1 is back once more with a subtle luxe upgrade. Dubbed “Couture,” the forthcoming drop is delivered in a familiar color combination featuring a black base that’s contrasted by a sail outsole. 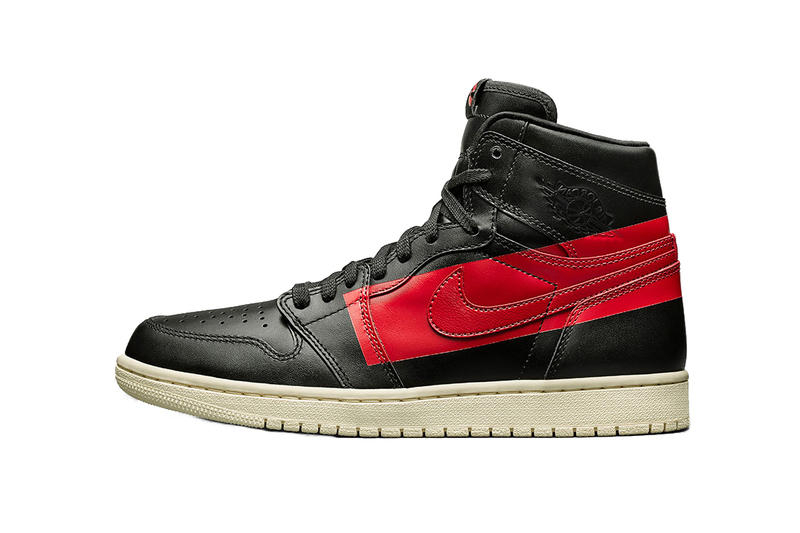 Premium leather is used to construct the AJ 1’s upper while a thick red stripe wraps around each lateral and medial side. The aforementioned red stamp is said to be a nod to the intricate craftsmanship that goes into luxury cars – an appropriate addition since a few of Michael Jordan’s silhouettes are inspired by his favorite automobiles. Lastly, the “Nike Air” insignia on the tongues are also shared in bold red to match the previously mentioned stripe. The Air Jordan 1 “Couture” arrives on February 23 for $175 USD at select Jordan Brand stockists and Nike SNKRS. Jordan Brand enthusiasts can also check out its next collaborative capsule with Paris Saint-Germain. Deniro Farrar, TJ Porter, and Jazzy Amra also provide new tunes for you to rock to.